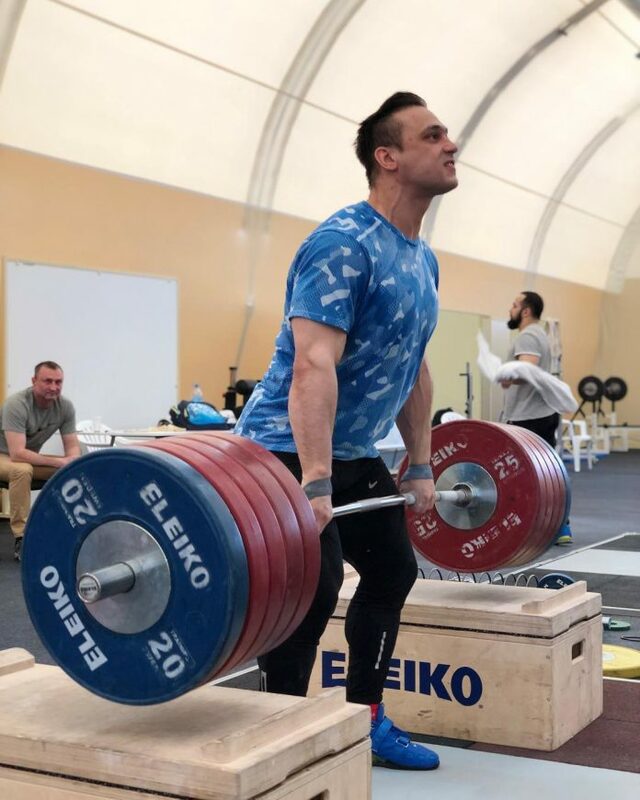 This is part 2 of the Ilya Ilyin interview by Yarkin Vyacheslav. Yarkin gave Weightlifting House permission to translate and publish this interview in order to help spread Ilya’s thoughts on various topics to the English speaking world. With the help of Tyler Hodgin, aka our Kazakh correspondent, we finally have a full translation of this interview. Yarkin – Which supplements do you consider to be the most effective? Ilya – Well, I started using casein protein about 3 weeks ago. Prior to that, I was taking faster digesting proteins [Editor: Whey], but I haven’t taken those this year because my body was not absorbing them well. Now with the casein protein my bodyweight is the same, however my muscles are bigger and stronger. I also currently take creatine. To all the people watching, I recommend getting a blood analysis done to understand exactly what your body is lacking, and then supplement for that. For example, since I do not eat meat, I typically do not get enough iron. My current supplements are iron, omega-3s, casein protein, creatine, NITRIX (a supplement made by BSN), and a multi-vitamin. bread with a little bit of salt for lunch and dinner. Now, I’ve said goodbye to chips and started craving sweets. For example, today I didn’t have dinner; so instead, I ate three cookies before training. Yarkin – What changes do you make in your training and diet before a competition? How many months do you usually use to prepare for a competition? Ilya – When we start, the coaches have already written the entirety of the training plan—from start to finish. We do not alter the training program day by day, and it is crucial to stick to the outlined plan. If you aren’t able to make the necessary weights, say goodbye to the team. If you are missing weights you have to think, “What are we doing?” We take our opening attempts a month out from the competition. At that point, your opening attempts need to be completed without question. Even attempts five kilograms higher. Yarkin – Do you reduce training load over the course of your competition preparation? Ilya – In general we reduce our attempts. [Note from Tyler – This is not made clear as to what it is. It is a method used by the Kazakh coaches to manage volume]. We reduce our number of overall training sessions, so overall yes we all reduce our volume, a method we took from the Bulgarian system. We go from 3 attempts to 2 attempts, and then we will recover, then we will do a 2×2, then a 3×2, finally 2×1. A lot of world athletes do it this way. Something important to mention, if you decide not to eat meat for a month or to change your sleeping pattern to sleeping often, but a little bit at a time, what’s it called…I forgot. But anyway, this is serious work. If you want to change something like that, you need to get used to it for months, you need to be careful. If it’s the first stage of competition preparation then you might try it, but if it’s in the later stages, then you just might overwork yourself or throw yourself off. Yarkin – What is your diet like when you’re training with the national team, and what is it like when you are preparing for competition? Ilya – In general it depends on my weight and how much I need to lose before a competition. I don’t count calories. I don’t eat meat. I eat right. Mainly green vegetables, some carbs, polyunsaturated fats, however, I really love cheese and nuts. I don’t eat many fruits or berries. Mostly vegetables. As for carbs, I will have some cereal. But overall, I really like to manage my diet, its good for me. But yeah, sometimes I really like to eat sweets. I try to moderate my intake to about 5 small pieces of cake (laughter)! Yarkin – What’s more important when cutting weight: your food intake, or focusing on the water cut? When I competed as a 105, I would cut from 116kg to 104-105. When I was 94 I would cut from 105 to 93-94. As a start, we would reduce our intake at dinner, and eventually completely remove it. Well not completely, we would reduce our intake of calorically dense foods and our weight would gradually decrease. Then, we would start the water-cutting phase ending with a three-day period in which we are decreasing water intake little by little. It is crucial that this phase it planned and executed properly. Yarkin – There is a lot of talk now about the Olympic committee removing weightlifting from the Games. In general, what do you think about the current situation, and if weightlifting is eliminated how will the sport further develop? Ilya – Such a question is difficult to answer. In general, we really need to work so that weightlifting will of course remain in the Olympic Games. Regardless of weightlifting’s removal or approval in the Olympics, we need to develop another league, so to speak. I am unsure how this will work, but I know that there are a lot of people who do not know where they would go if weightlifting doesn’t exist in a professional capacity. Weightlifting is a very old sport, and an Olympic sport that I think should always be included in the Games. In the same regard, it is important that our weightlifting federations approach [our issues] correctly, and operate in accordance to policy so that weightlifting can flourish. Even if weightlifting ceases to be an Olympic sport, development must continue. Weightlifting is a beautiful sport, it is our sport, and we need to fight for it. Yarkin – And last question: Does weightlifting bring you joy or is it all for work now? Ilya – This question… This question is like my mood. Sometimes I want to train, other times I feel tired. I have been in this sport already for 25 years! I’ll ask myself “Why do you train? After all of this, your medals have been taken away from you, you work tirelessly, and now what will happen tomorrow?” I think this has to do with my post-traumatic stress disorder that I’ve had have since then. But when I pick up the barbell, there is a fire in my eyes, the bar is flying, and my mood becomes better by the second. I even wrote on my Instagram posts that I really thought about my future, that perhaps I should go and graduate from the university. Maybe go get a job as a manager somewhere, maybe work with the weightlifting federation. Or maybe even travel and do seminars to teach kids and people. Overall, weightlifting is great and this is my job. It’s my favorite job. My favorite thing. Of course it brings me joy, but sometimes it does annoy me. Yarkin – Thank you for the interview! Ilya – Of course, thank you!